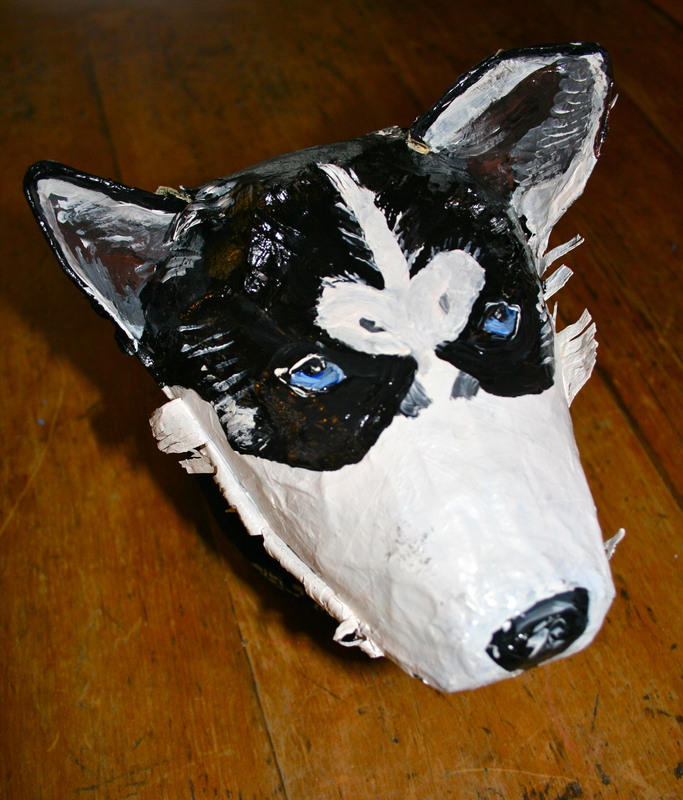 The Papier Mache Zoo is coming to Treacle! We have been deeply submerged in Project Object lately so haven’t done many markets but we will be at Treacle market, Macclesfield this Sunday 10am – 4pm. This month we are are chuffed to be taking along some members of the Papier Mache Zoo, who are visiting all the way from Norway! 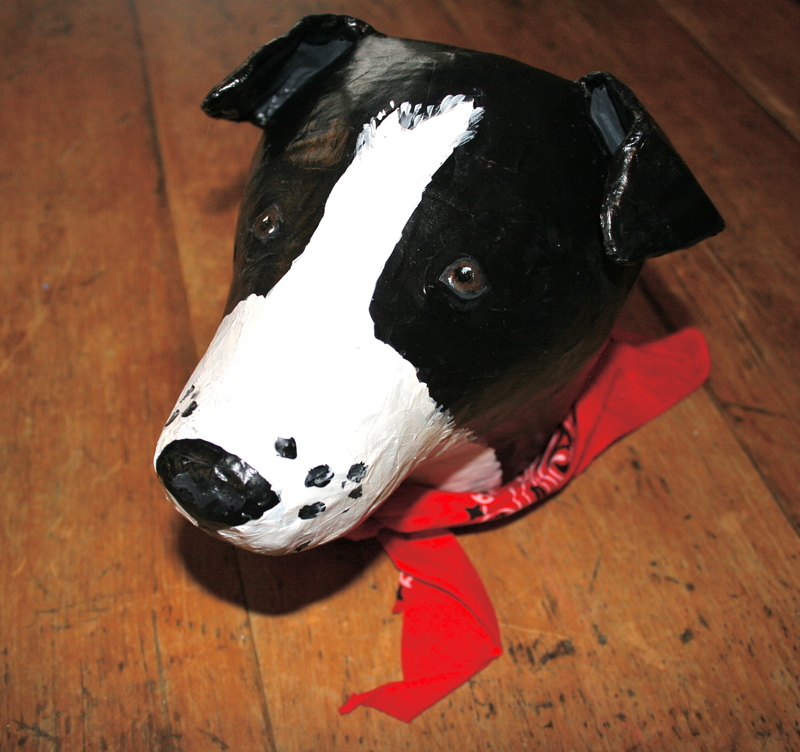 Need a surprise present for a loved one who loves dogs or simply to treat yourself… then look no further! 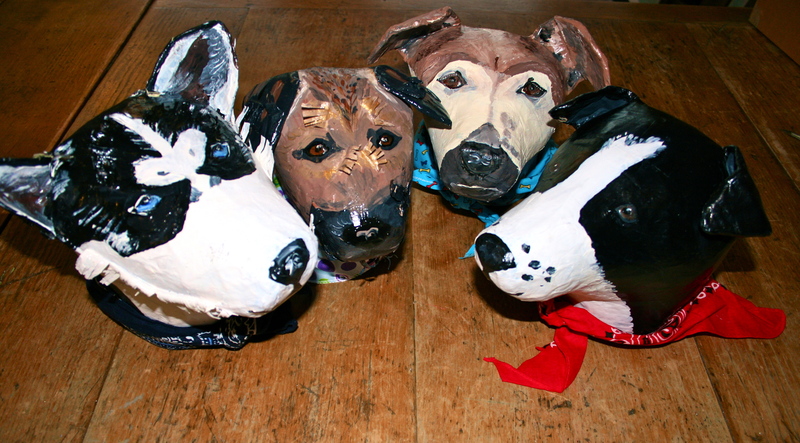 We have four original papier mache dog masks made by the multi-talented Fiona Simpson of The Papier Mache Zoo which we will be taking to Treacle. 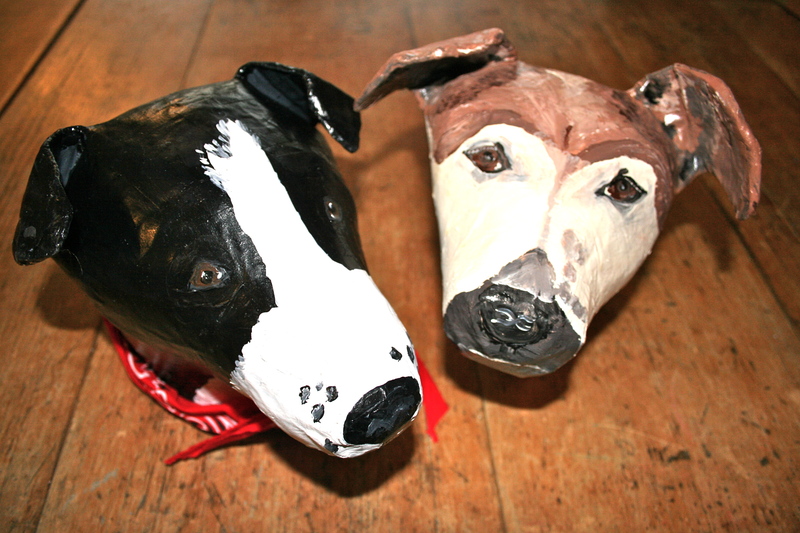 These gorgeous masks are for sale but if you would prefer a bespoke mask made of your beloved pooch, Fiona would be only too happy to oblige. 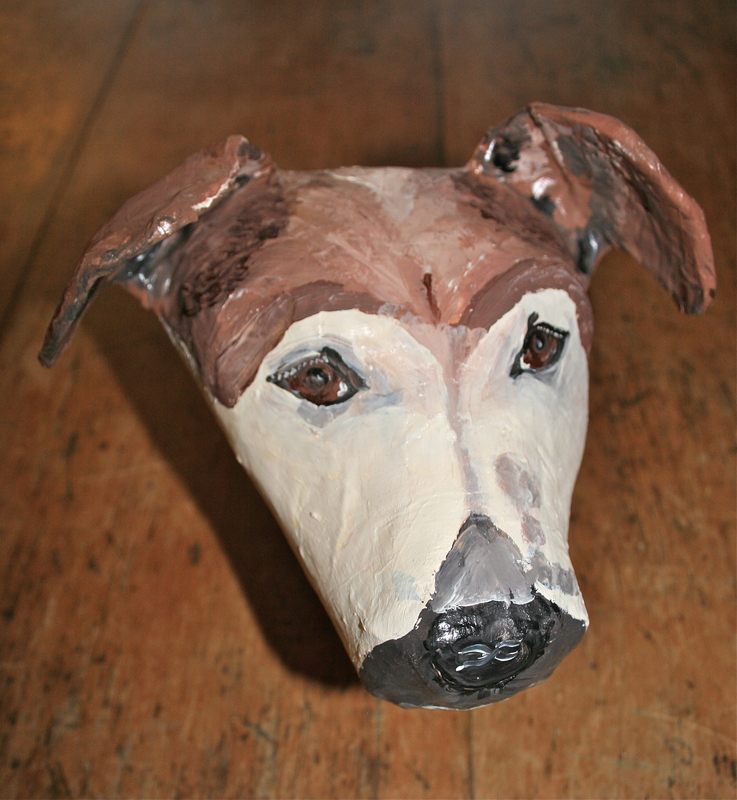 Fiona particularly enjoys making Borders, JRT’s, Bullies, Staffies and Huskies but will attempt any breed, she doesn’t produce clones of the dog but a fair likeness regarding markings, proportions, ear position and that kind of thing. We can help with photographing and ordering or simply pointing you in Fiona’s direction. We can’t decide which one we like best! 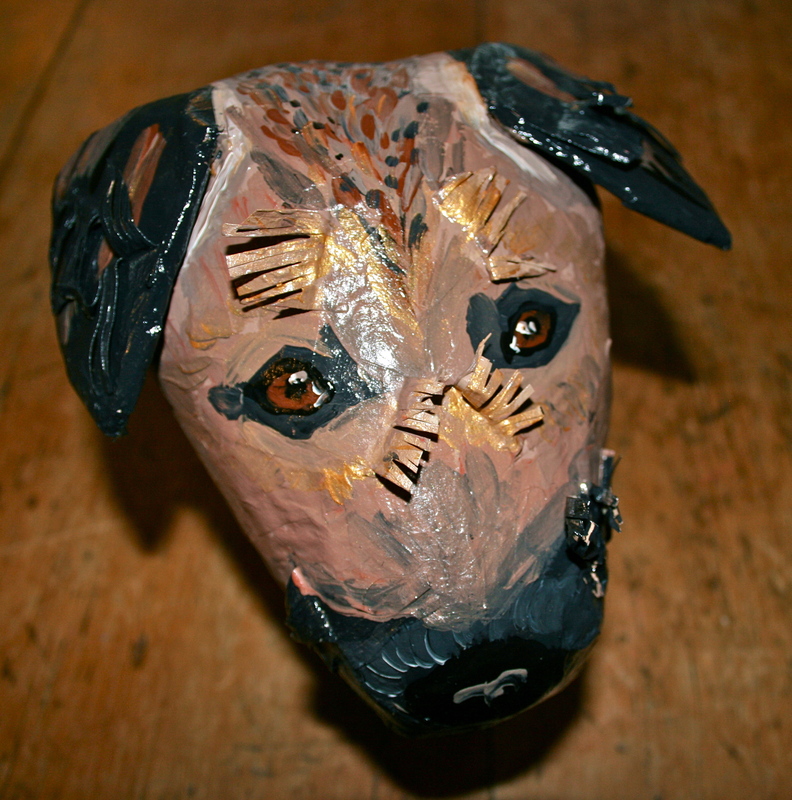 The Papier Mache Zoo can also be found at https://www.facebook.com/pages/The-papier-mache-zoo/176374135774959 Fiona has just added mohair and knitted doggies to her repertoire they are gorgeous!